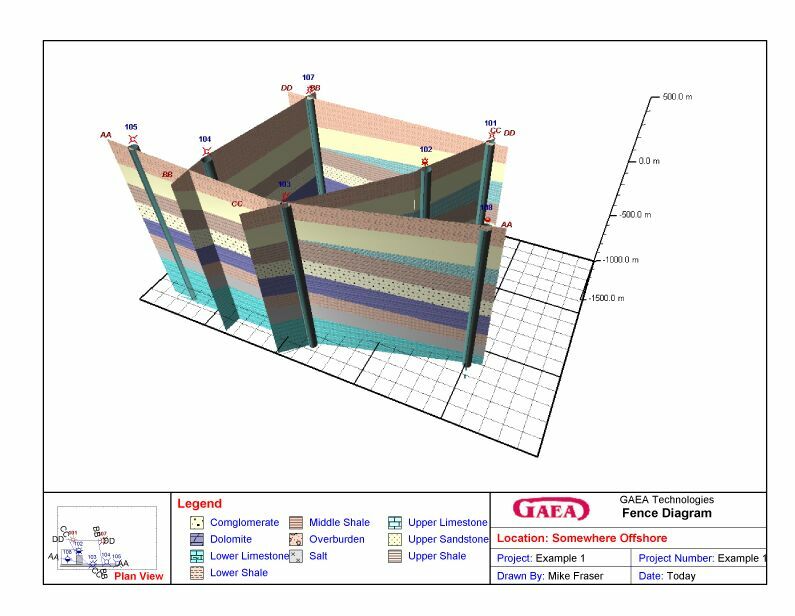 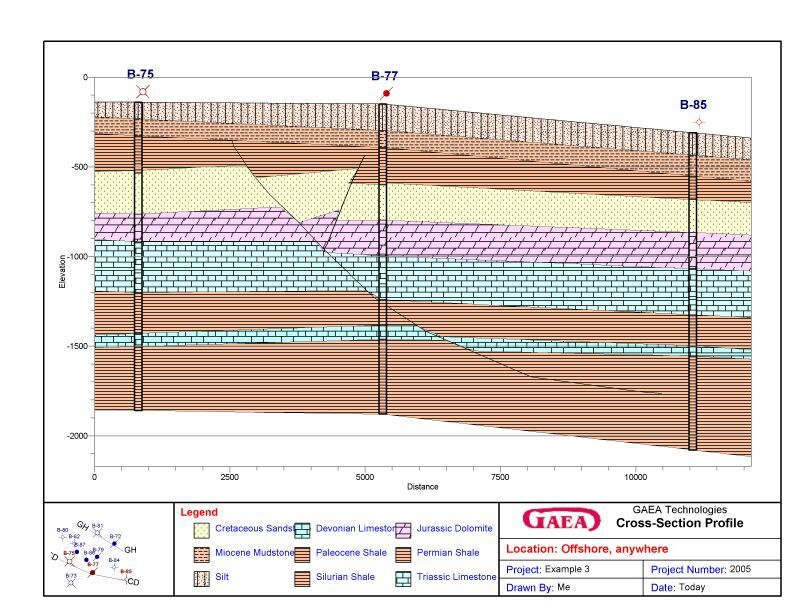 The WinFence cross-section extension module of StrataExplorer can be used to quickly create detailed full color cross-sections. 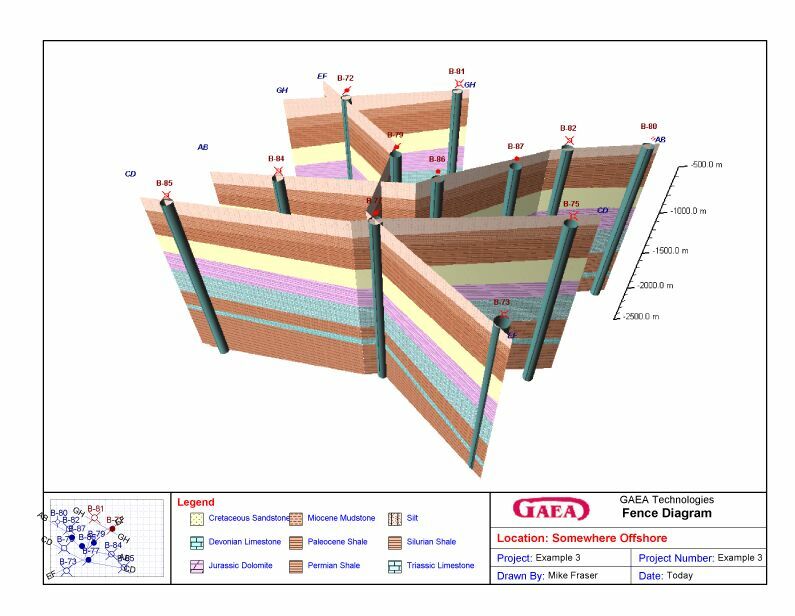 This module is a major upgrade to our very popular WinFence program. 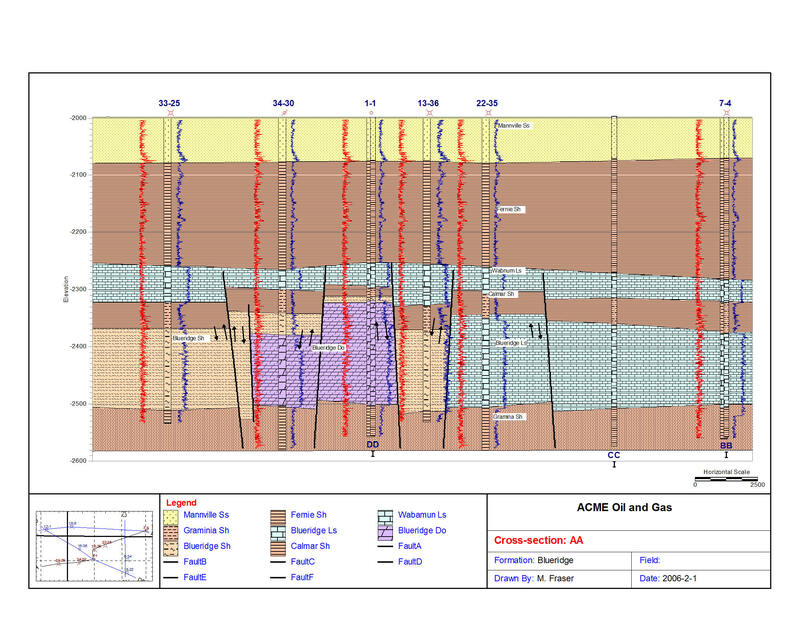 The oil & gas version of this module has been specifically designed for the oil & gas industry. 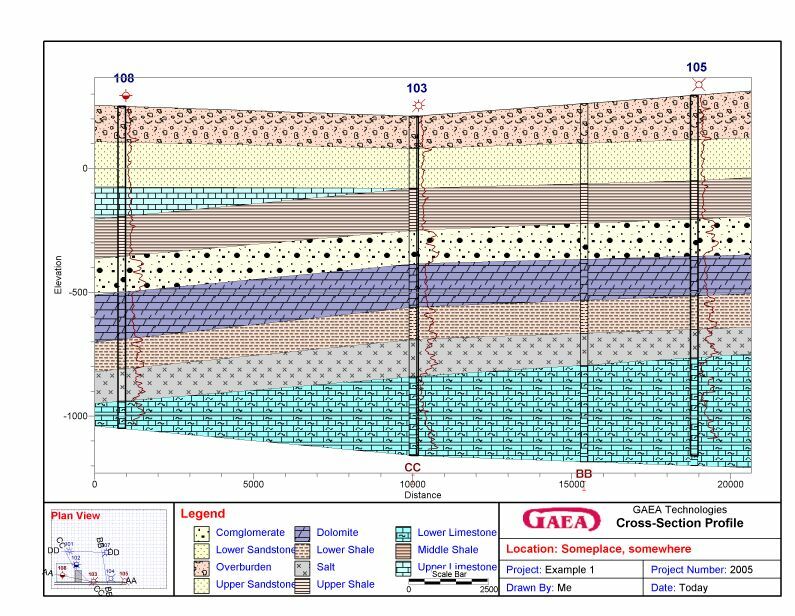 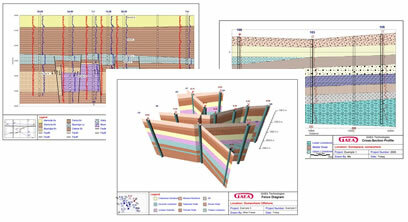 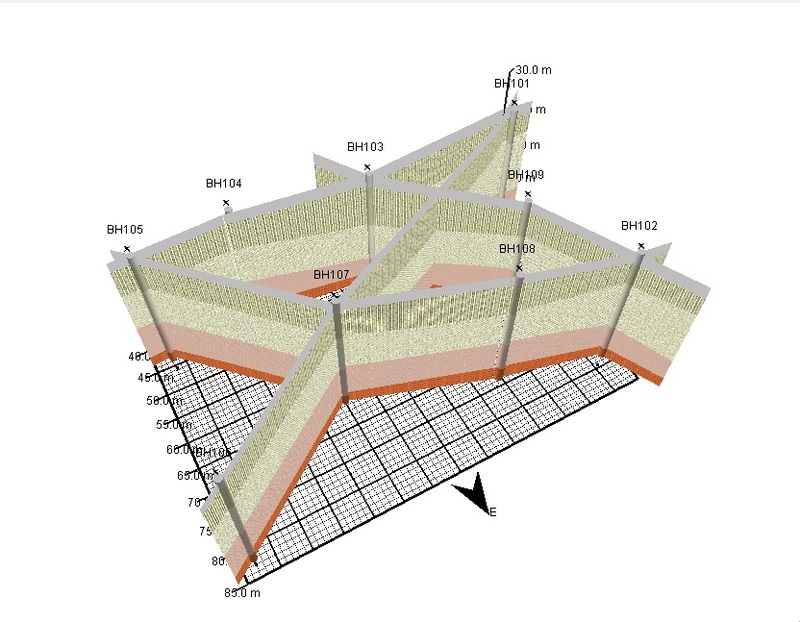 Deviated boreholes can be displayed on a cross-section.